San Franciscans, it's time to hop on BART. 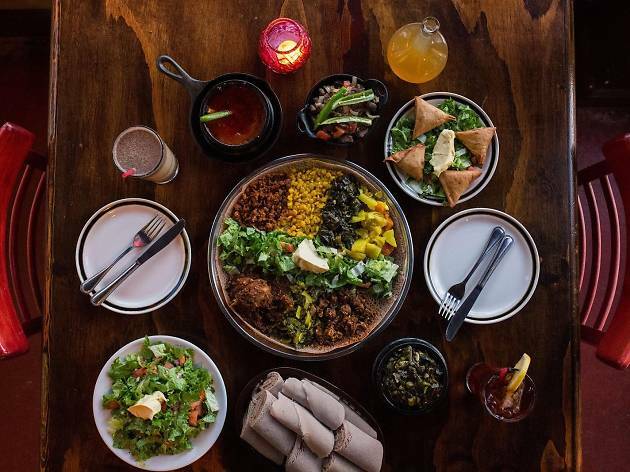 Centered around Telegraph Avenue in Oakland are some of the best Ethiopian restaurants in the Bay Area, offering fresh, deftly spiced foods, from vegan and vegetarian specialties like gomen and yekik alicha to hearty kitfo, tibs, and stews. For those of you who refuse to venture to the East Bay, there are good restaurants in San Francisco on this list too. Enjoy. Colucci owner Fetlework Tefferi founded her family-owned restaurant in 1991 and remains dedicated to old-school cooking techniques. She travels back to Ethiopia several times a year to source ingredients from local farmers and check up on her family’s spice processing plant in Modjo. 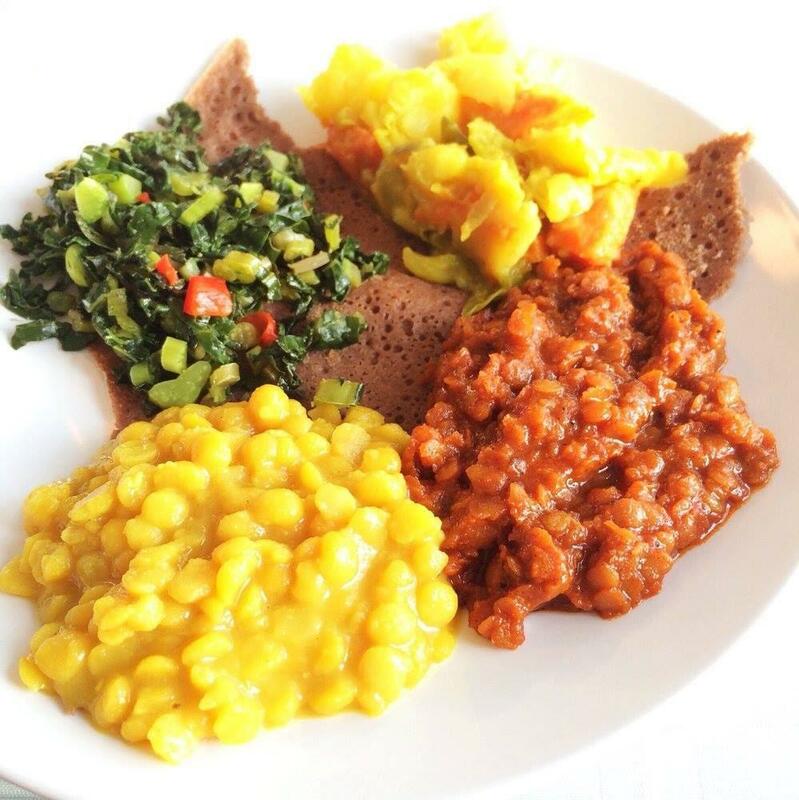 The restaurant starts serving Ethiopian breakfasts at 8am each morning, including misto firfir, injera tossed in a buttery, turmeric-spiced berbere sauce and sauteed with onions, tomatoes, and garlic. 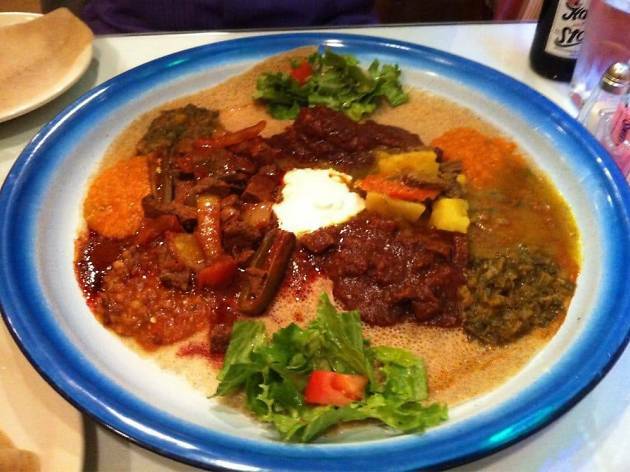 For dinner, try the shouro combination platter, which comes with shouro, gomen and atakilt. Meat eaters will appreciate the gomen besaga, in which the greens are sauteed with cubes of beef, garlic, ginger, onions and clarified butter and served in a cast iron skillet. 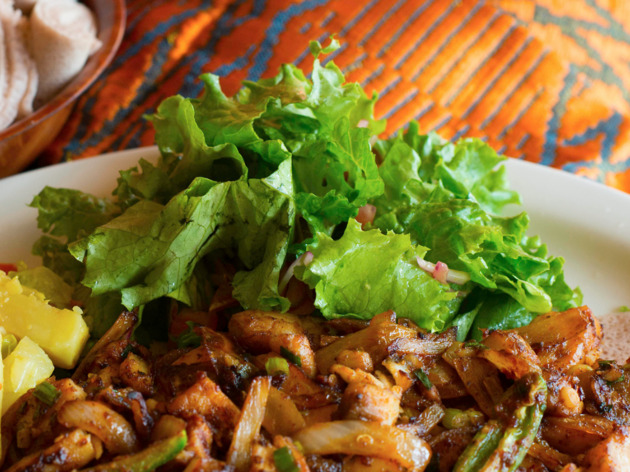 A particular house favorite is the assa tibs, a whole fish fried Ethiopian-style. 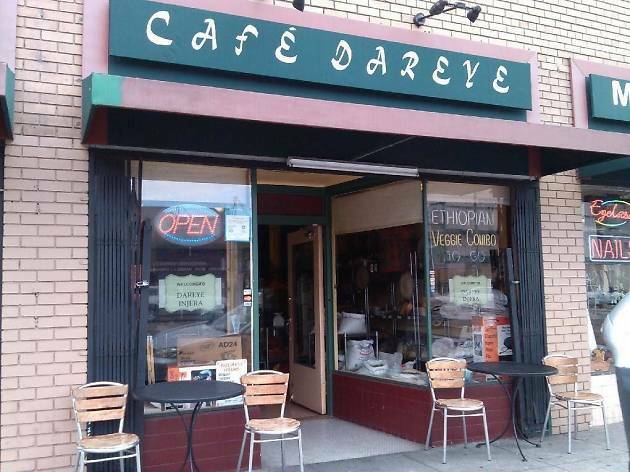 Addis has been Temescal’s go-to Ethiopian spot for over a decade. White tablecloths and wooden room dividers lend a rather upscale, intimate vibe. 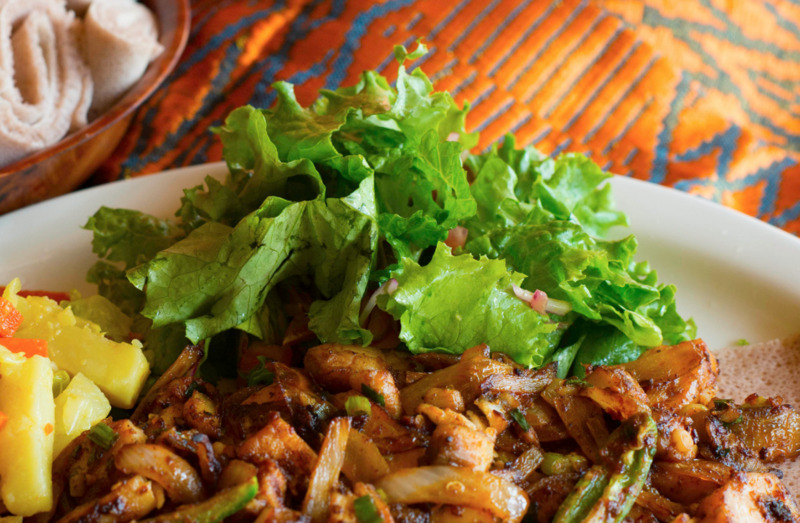 The chicken dishes are the surprise standouts here, like the yedoro wot, a hearty, egg-laden chicken stew, and the chicken tibs, sauteed with onion, bell peppers and Ethiopian spices. (The cooks don’t skimp on the heat.) Ethiopian beers include St. George, Meta, Harar and Hakim. If you’re in the mood for something sweeter, opt for a glass of house-made honey wine or Ethiopian tea, flavored with cloves, cardamom and cinnamon. 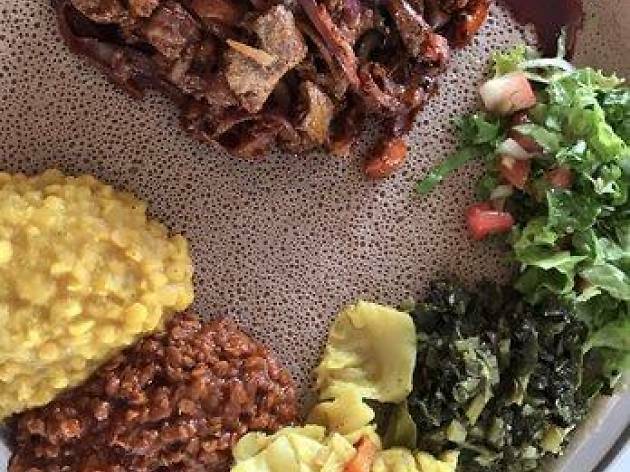 This popular Oakland restaurant is run by Adey and Mebrat Hagos, the owner and executive chef, respectively. It’s named after Romanat, a village in the Tigray region of Ethiopia. 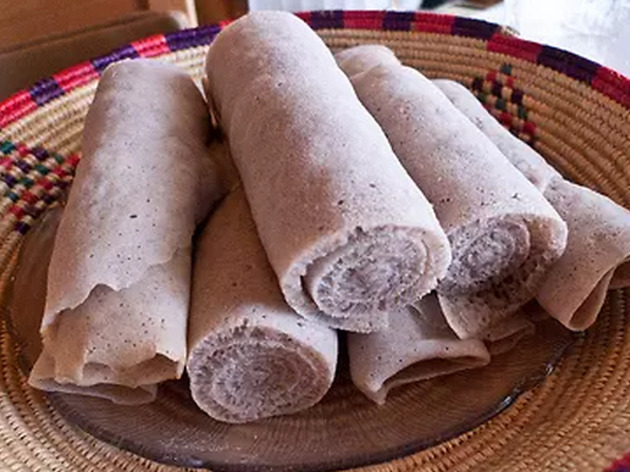 The family-style dishes are all served with traditional or gluten-free injera, a side salad and buticha. 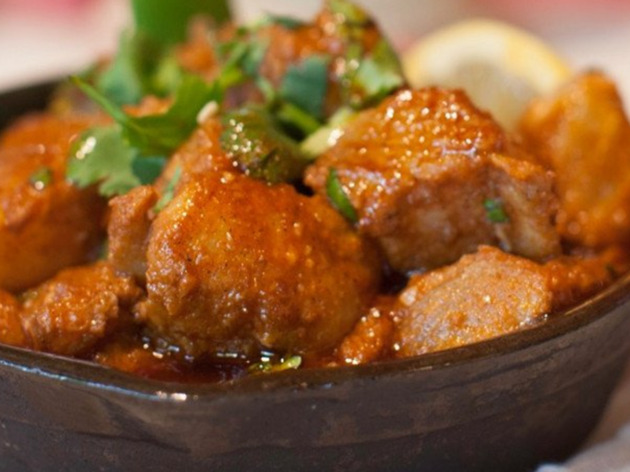 The house specialty is the mitten shiro, incorporating house-made chickpea flour and seasoned with berbere spices. 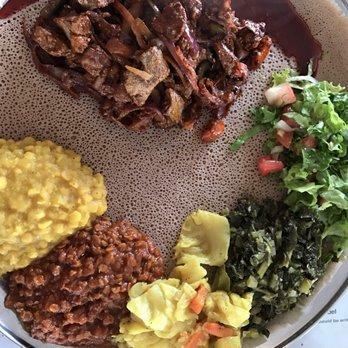 Vegans swear by the misir wot, red lentils simmered with ginger, garlic and red onions, while meat-lovers should opt for the quanta fitfit, strips of beef tenderloin mixed with injera, then sauteed in butter, onions, rosemary, jalapeno and spices. Here, the drinks are as noteworthy as the food, from the house-made honey wine to the flax, sesame and sunflower seed smoothies. Make a reservation for a the 30-minute Ethiopian coffee ceremony, in which green coffee beans are roasted and wafted over hot coals, ground and boiled in a traditional ceramic kettle. Enssaro has been an Adams Point mainstay since 2006, but it relocated across the street and doubled its footprint in 2015. The new space offers an improved ambiance, with pottery and handcrafts and topped lining the walls. (Thankfully, the move also eased the usual wait for a table.) 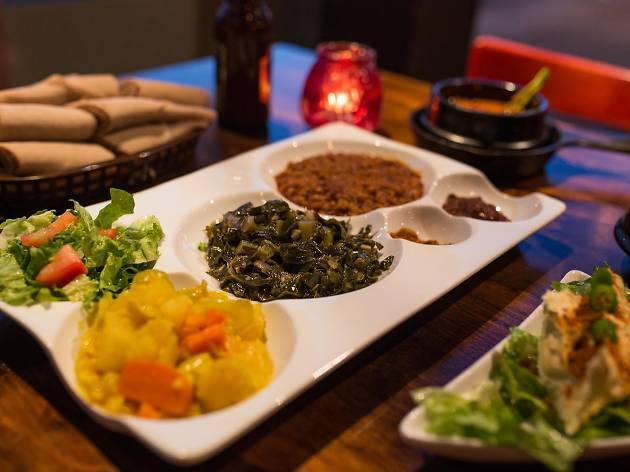 The owners source their spices and ingredients from the Ethiopian town of Enssaro and the place doesn’t skimp on traditional recipes. 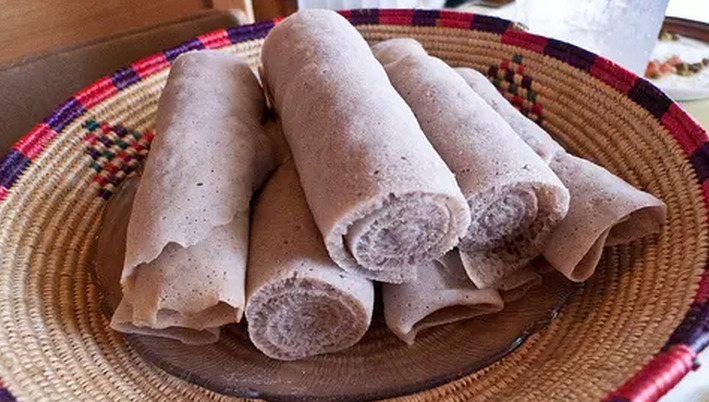 Start with the buticha, the house-made Ethiopian version of hummus, then move on to the restaurant’s specialty: shiro, a dish made from seasoned chickpea flour, a blend of spices, garlic and ginger (available with or without beef). 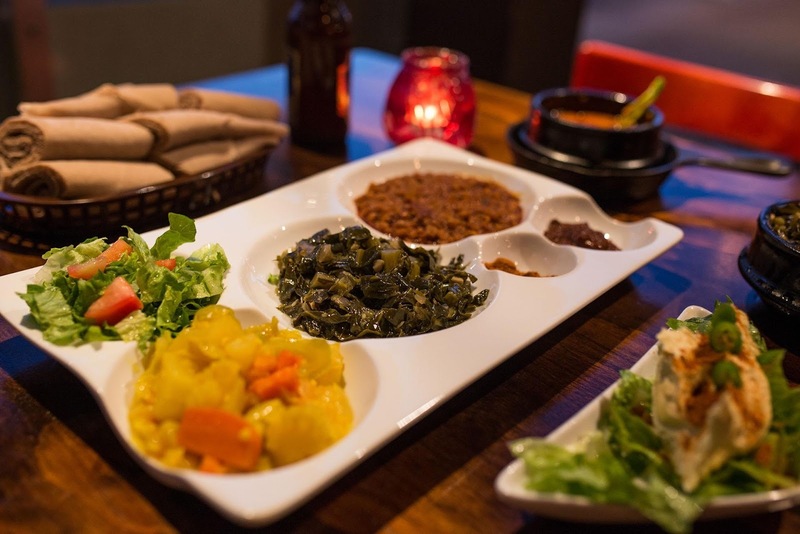 The spot stocks a range of Ethiopian beers, including Meta, Harar and Asmara. Cap off your meal with a yekemem shai, hot spiced Ethiopian tea flavored with ginger root and cinnamon sticks. Among North Beach’s glut of red sauce joints and pizzerias, this Ethiopian joint is a rarity. 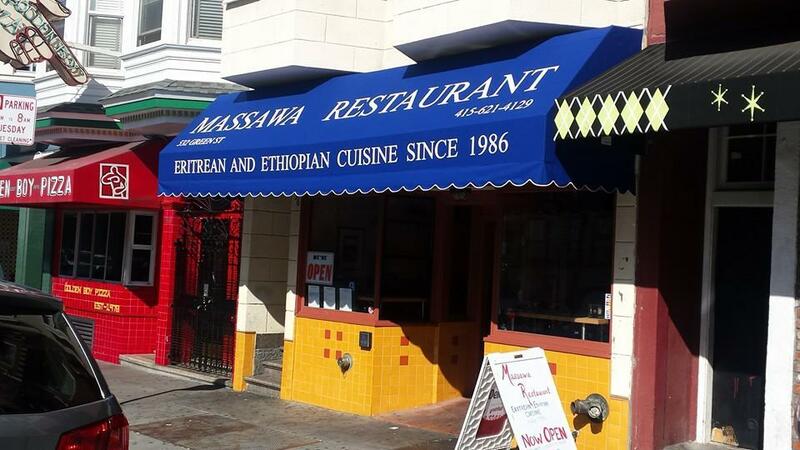 Rarer still: An East African restaurant open early enough for breakfast. For a hangover-abating brunch, try the shehaniful—fava beans topped with tomatoes, onions, yogurt, feta and jalapenos. (Never fear: your less adventurous friends can still find American fare like pancakes on the menu.) 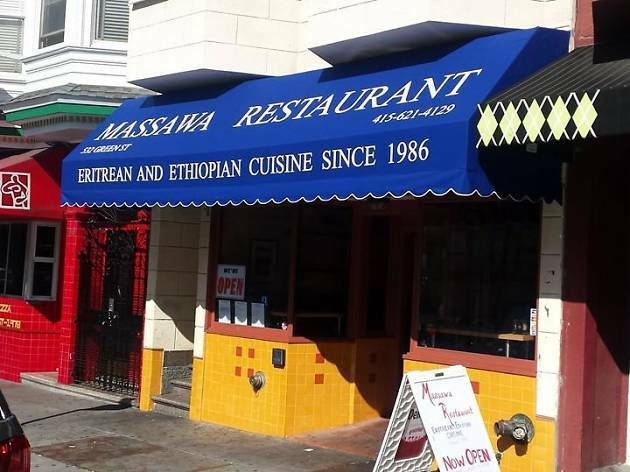 With its long picnic table set-up and shareable meat, fish and veggie platters, Massawa is an excellent option for larger groups. All entrees come with salad, lentils, and your choice of injera or rice. 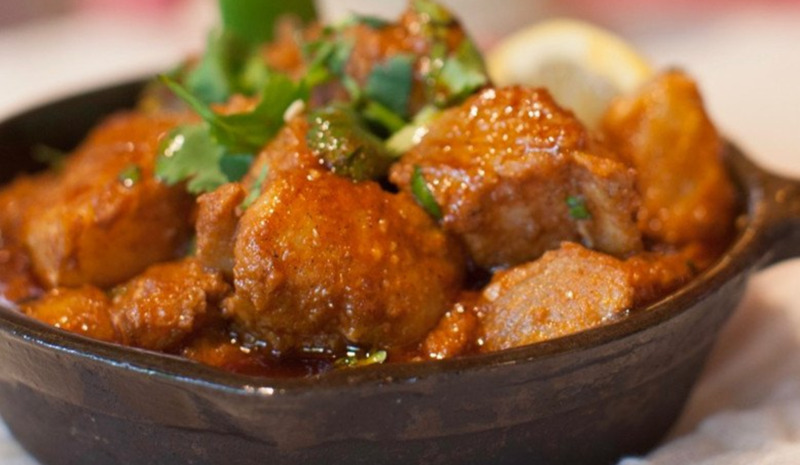 For dinner, the alicha beggee is a standout, a rich, spicy lamb stew with carrots and potatoes. 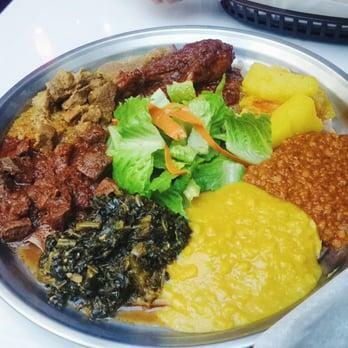 The secret sauce here is the clarified butter, which douses everything from the kelwa derho, a spicy chicken dish, to the kelwa beggee, hunks of lamb sauteed with peppers, onions and tomatoes. Even the walls are butter-hued, decked with maps and tapestries. 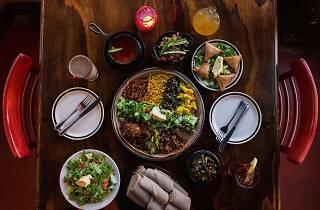 Everything is served with generous portions of injera, red and brown lentils and salad. 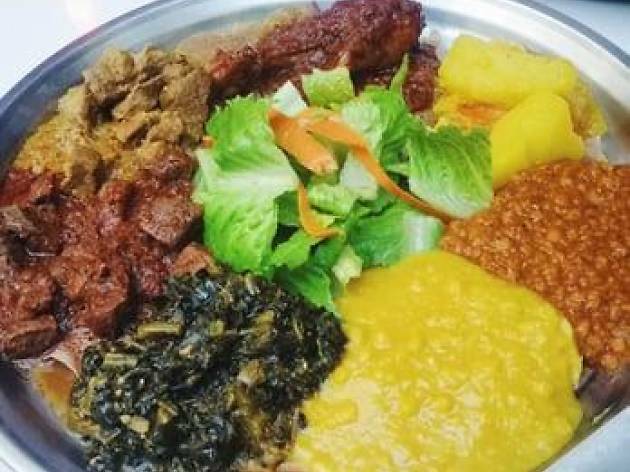 Try the vegetarian sampler, which includes an alicha made with potatoes, carrots, bell peppers and cabbage, okra stewed in a tomato sauce, and seasoned and pureed zucchini. Everything comes topped with a dollop of homemade yogurt to counteract the tongue-tingling spice. If that fails, a slug of Ethiopian beer will do the trick. This homey, three-table eatery is a hidden gem, located a short jaunt from Berkeley’s main drag. The food is all vegan, and there’s only one choice to make: small, medium or large. 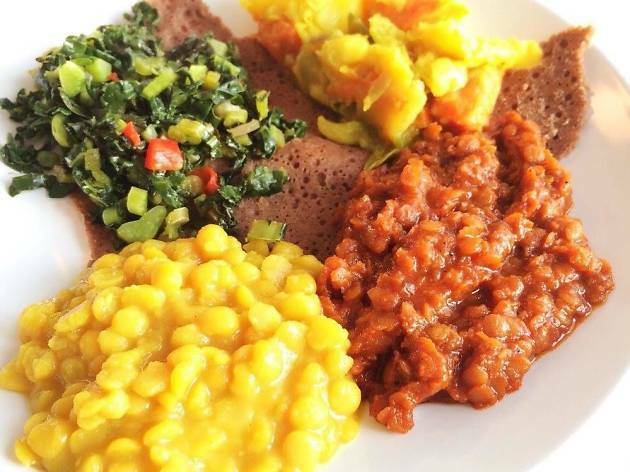 The platter comes with a healthy serving of red lentils, yellow split peas, gomen, mixed vegetables and injera. The latter is packs a subtle nutty flavor from the teff and is served hot. Munch on a sambusa or two while you wait, savory fried pastries stuffed with green lentils or potato, onion, garlic and spices. The peppery, chilli-tinged dipping sauce is addictive.